Diagnose the cause! While some clicks and noises in the joints are relatively ok, others mean that something is wrong. How can you tell? Should you just wait and see what happens? No! Waiting could be just the wrong choice. Some noises are the early warning signs that the joint is not working right. These kinds of issues can frequently be fixed rather quickly if caught early enough. Let it continue for too long, and you may find that at some some day, ‘out of the blue’ major damage occurs. A spinal disc ruptures, a cartilage gets cut, bony spurs are discovered on x-rays. Now you can’t do the activities like you once could and recovery is likely to be a lot longer and the residuals will be much higher. Let’s go into a little more details on the mechanisms for clicking and noisy joints as well as some of the potential underlying causes. 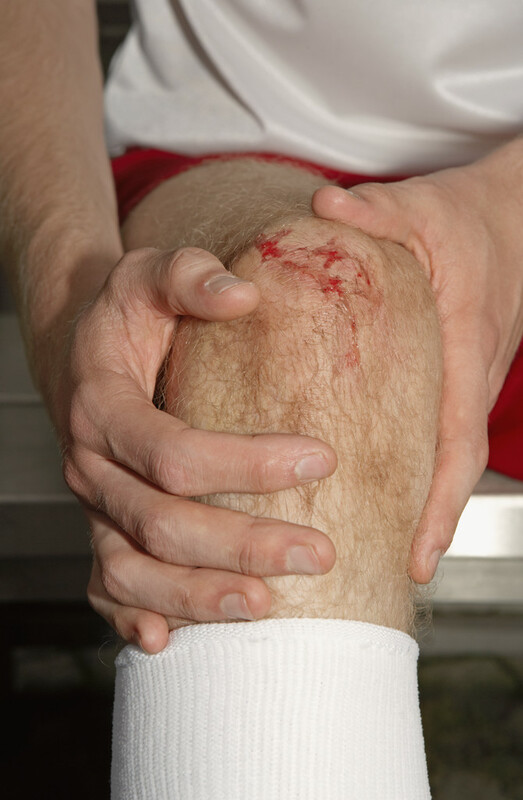 Cartilage or other soft tissue has been damaged and a piece has broken off, with the bone rolling over it. Trauma – stretching or damaging muscles, tendons or ligaments, etc. Surgery – intentionally damaging, muscles etc. Does that mean it’s time to stop exercising? That you are too old? No. but it does mean that something needs to change. Pushing through joint clicking is very likely to exacerbate the problem. Find the cause! – The first thing to do is find out why the joint is clicking. If you have addressed the issue sooner rather than later, the odds are improved that you can fix the cause relatively quickly. If instead, you have ignored the clicking, covered it over with pain medication or tried to work through it, the odds are increased that it will take a longer period of time to fix. When does it click? With what motions? Is it repetitive or just once every hour or so? Do any symptoms linger after the clicking? When did it first start? What were you doing right then? For the days before? The week before? Has it been getting better or worse? Have you had this before? If so, what treatments did you use? Did it help? Any change in workout routine? If you lift a lot, spend some good time looking carefully at the possibility that you have altered your routine, or been working out some muscles more than others. Change in DIet? Supplements? Medications? If you are not able to figure out and fix the clicking relatively rapidly through your own investigations, get somebody with more experience to look at all of the possibilities. Find somebody to work with who understands possible causes of a clicking joint and knows how to determine which ones are involved. The greater the number of possible causes of clicking your health partner can determine, the more likely that you will be able to do all your health work with one health or fitness provider. Access to ordering x-ray, MRI or other imaging tests. Most importantly – you want your health & fitness partners to be able to talk with you and work with you. In most situations, you will get far better results when you know what is going on and are an active participant in the recovery process. The main thing, is don’t ignore it and don’t cover it up and hope it will go away. Typically, the quicker you start work on a clicking joint, the easier it will be to fix, and the less residual scar tissue or other damage you will have. Next Next post: Diet or Supplements?